Cape Breton Regional Municipality, located in Sydney Nova Scotia, has four 10-foot diameter 18.5 foot straight shell horizontal Hungerford & Terry manganese greensand filters to treat 1.8 million Imperial gallons per day. The water source is a well containing iron and manganese. The design water analysis has 0.2 mg/L iron and 0.35 mg/L manganese. The filters are designed to use the catalytic oxidation process with chlorine added prior to the filters followed by a reaction tank to allow added contact time for the chlorine. Over a five-year period of operation, the length of run between backwashes was gradually getting shorter. Investigation determined that the reduced run length was caused by a breakdown of the manganese greensand media. After testing, it was determined that the low silica level in the raw water contributed to the breakdown of the media. A feed of sodium aluminate was instituted to help alleviate this problem. Sodium aluminate was fed at a rate of 0.2 mg/L (as Al), and this managed to stabilize the media and enable the CBRM to handle the high summer demand. A new media, GreensandPlus™, was obtained from the Inversand Company. This media is more rugged than manganese greensand, but has identical operating characteristics, and would not require sodium aluminate to prevent breakdown. On the advice of Hungerford & Terry, Inc., a pilot plant was sent to CBRM for operation using the same feed as the full-scale units. After chlorine addition and reaction time, a 3.1 gpm* flow was sent to a Hungerford & Terry, Inc. pilot plant. This plant measured 9½” ID with a 0.5 square foot surface area. The filter bed consisted of 18″ of 0.6 – 0.8 mm effective size anthracite and 18” of GreensandPlus™. After conditioning with potassium permanganate, the pilot plant was ready for operation. The chlorine feed served to oxidize the iron and manganese in the feed water so that it would be filtered out in the media. Soluble manganese would be oxidized by the manganese oxide coating on the GreensandPlus™. The free chlorine in the feed water would then oxidize the coating, which had temporarily been reduced. The limiting factor of the pilot plant was pressure drop across the bed. Feed water from CBRM was limited in pressure and flow since it was fed to the pilot plant through a garden hose. The pilot plant operated at flow rates between 4.4 to 6.2 gpm/square foot, and run lengths between backwashes of 120 to 200 hours were experienced. Influent manganese was 0.3 to 0.33 mg/L while iron varied between 0.045 and 0.09 mg/L. With seven runs complete, an average loading of 1,200 grains/square foot of filter area was obtained. Manganese greensand is expected to have a capacity of between 500 to 700 grains/square foot of filter area. GreensandPlus™ demonstrated that it has a significantly greater capacity than manganese greensand when operated on this water supply. The normal pressure drop end point for the full-scale plant and the pilot plant was 10 psi. In an attempt to extend the run, the plant was operated to a 334 hour run with a pressure drop of 17.9 psi at the end of the run. The pilot plant was still producing good quality water with less than 0.005 mg/L manganese and 0.001 mg/L iron in the effluent. The only reason for terminating the run was a drop off in flowrate due to the high pressure drop across the filter bed. After backwashing, there was no sign of damage to the media, and the pressure drop at the start of the next run was consistent with that of a clean bed. During the pilot testing, the water treated by the pilot plant consistently averaged less than 0.01 mg/L manganese and less than 0.01 mg/L iron. The effluent free chlorine averaged between 1.5 and 1.8 mg/L as determined by the chlorine feed to the full-scale plant and required for the distribution system. Because of the compact size of the pilot plant, a full 40% expansion of the bed during backwash was not possible. Backwash flowrate was limited to 9 to 10 gpm/square foot in lieu of the normal 12 gpm/square foot. No air scour capability was provided with the pilot plant. However, it is being considered for the full-scale plant due to the extremely long filter runs between backwashes that can be achieved with GreensandPlus. The results of the pilot plant indicated that GreensandPlus™ filter media could treat the water at the Cape Breton Regional Municipality filter plant in Sydney, Nova Scotia without breakdown due to the low silica level in the water. It can also be operated to higher pressure drops and longer filter runs without any detrimental effects. It also demonstrated that while being operated for longer periods of time to higher pressure drops, it could still produce extremely high quality water. 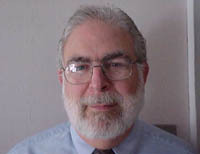 Harold Aronovitch is Vice President / Technical Director of Hungerford & Terry, Clayton, NJ USA. He is a graduate of the University of Toronto with a degree in Chemical Engineering. His entire career has been in the field of water treatment with various engineering firms and manufacturers in Canada and the USA. In 1977, he joined Hungerford & Terry. Recently, Mr. Aronovitch has authored several technical papers for the Liberty Bell Corrosion Course, Philadelphia, Pa. and the International Water Conference, Pittsburgh, Pa.